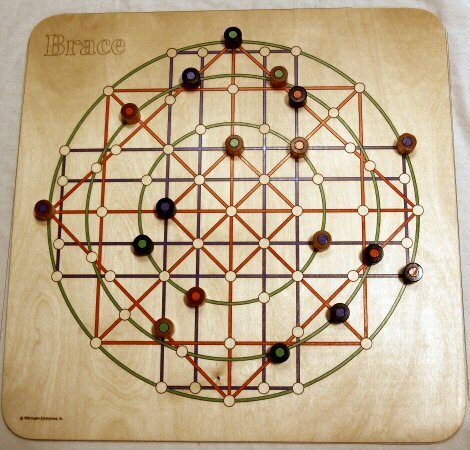 Brace's striking board design has 3 path colors that determine how pieces may move. 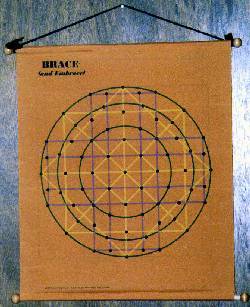 Goal: move pieces to "brace," or bracket, an opponent piece to gain points. Novel scoring cube tracks your lead: get 3 points ahead, you win. No captures, no removals. Alan's unique system of symmetrical set-up provides a different start position every time. Rules for four other games and some solitaires are included. The large (24") canvas gameboard can hang as a banner, or rolls for storage in long corduroy sleeve. 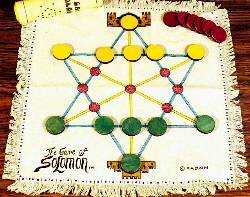 The 18 layered acrylic disks, six each in three colors to match the board, reverse to 9 black and 9 white. 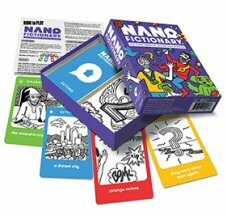 For 1 and 2 players, ages 10 to adult.